Today we are introducing fellow wedding fayre buddy Elinor Softley founder of The Indie Wedding Fair. We wanted to find out more about the fair and what inspired her to start this type of event for the boho bride. Here’s what Elinor had to say…..
“When mooching around wedding fairs in the midst of planning my own wedding, it didn’t feel as jubilant and exciting as I’d hoped, really. Some of the environments housing what are essentially ‘trade expos’ were pretty uninspiring, and it felt a bit corporate for my taste. I don’t particularly like shell schemes or chair covers, diamantes and a lot of what is weirdly considered ‘traditional’ wedding décor, and I don’t like pushy sales reps or irrelevant businesses being at wedding fairs (…dieting stuff and dodgy dental companies can get in the sea!) Needless to say I was inspired to create an alternative option, and The Indie Wedding Fair was born. I did visit one or two smaller events (including Bridal Chic in the City events!) that were much more inviting and soulful, but there didn’t seem all that many ooop North that really tickled my fancy. I have a penchant for outdoor weddings: tipis, yurts, Sperry tents etc., and non-traditional ‘blank canvas venues’ where you can really get creative with the space and your ideas, and where you have a lot of flexibility around tailoring the celebrations to your wants and needs. Photo by Helena Marie of an Inner City Weddings set up I worked on. 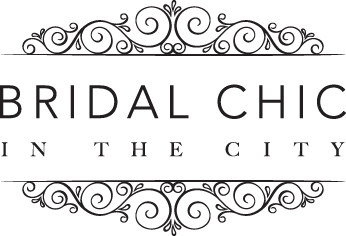 When I ran the first Indie Wedding Fair, in five interlinked giant tipis in Cheshire, I didn’t think that really sat with the Bridal Chic brand as an inner city, urban chic blog, and there wasn’t anything else quite like it in the region. It was definitely more ‘boho Betsy’ and laid-back festival style than ‘chic’, and it was an experimental toe in the water to see if there was indeed a market for this kind of fair, both from an exhibitor perspective and for engaged couples. The venue style this year is probably right up Bridal Chic street- albeit in a different city! But hey, I moved house, what can you do eh?! Thankfully the inaugural fair was exceptionally well attended, the sun shone, the Tipis from Tipi Unique were beautiful, and it was proof enough that I wasn’t on my own with what both exhibitors and a lot of couples wanted from a fair. I also learned some very valuable lessons about just how much work goes into organising something of this scale and design. Whilst I was hugely proud of what I had achieved and the feedback I received… I could have slept for a week after it was all over. One of the things I really loved about the 2016 fair was that the suppliers all got on really well and did some great networking; it felt collaborative over competitive and the passion and motivation from each and every one of the indie traders there really shone through. It really was a good vibes fair. I’ve spoken to many now-hitched and currently engaged friends that felt/feel the same as me when they were wedding planning. Call us a bunch an old-fashioned hippies but we wanted to find creative, dedicated, quality suppliers that were style-savvy, hot on their knowledge and passionate about what they offer, without feeling like we were in a meat market! I didn’t want to travel to London or Brighton or elsewhere for this inspiration; I knew there were amazing folk right here on the doorstep, many of whom sell through Etsy, Folksy and NOTHS… who also weren’t fond of these style of fairs, but that connecting with them, from an engaged person’s point of view, was a bit of a mission. With so many directories and blogs out there, it can be a bit mind boggling and it’s great to meet actual suppliers face to face to see if you mesh well together. So that is the background, really. To create something a bit different for brides and grooms like me…. Whilst keeping it indie friendly in terms of cost! I wanted to create an aesthetically inspiring alternative event (hence the tipis for the inaugural fair and the amazing 92 Burton Road this year), with good vibes, for those who wanted to enjoy the planning process and connect with lovely suppliers, especially those offering something a bit different to the everyday wedding fair. Carefully curated, with relevant and reputable exhibitors offering a wedding fair with a bit of a different ethos and feel. That’s it in a nutshell. I want for everyone to have a cracking day out, with a festival-style / informal welcoming atmosphere, where small biz is supported and independents are cherished! The Indie Wedding Fair 2017 will again see over 50 awesome indie suppliers who love getting creative with weddings and want to help you make yours awesome. Free early bird tickets available now, or VIP option with tat-free goodie bag and a glass of prosecco included. https://www.eventbrite.co.uk/e/the-indie-wedding-fair-tickets-31179189796 Splendid, hey? !